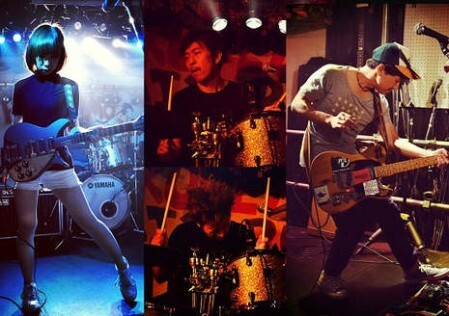 The Molice are a modern Japanese band who draw inspiration from 70’s punk’s DIY spirit, 80’s new wave, power pop and 90’s unchained indies guitar rock. While many Japanese bands are the product of management hired producers and stylists, The Molice have gone their own indie way, and created their own sound from a wide and unlikely combination of influences. Their name also has a variety of inspirations including- The Police, and the “mo” of Jim Morrison, and Mo Tucker. Music writers have scrambled to find comparisons, with the Pixies and the Pretenders coming up most often. In late 2016 THE MOLICE finished tracking an EP entitled Signs (released September 8, 2017), and visited the US for a string of dates across the Northeast. They also spent last Summer recording a new album in the US for release this year!